West Chiropractic Clinic in Soldotna, AK, is committed to providing their patients with maximum relief. This family chiropractic practice specializes in exceptional reflexology and spine adjustment services, supervised by their experienced resident chiropractor. 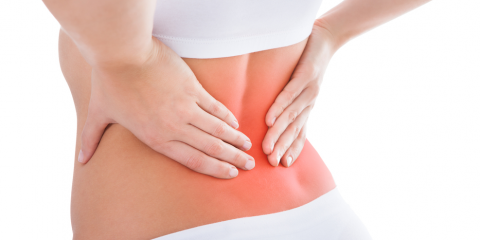 Whether you have scoliosis, lower back pain, or a neck injury, the clinic will provide you with fast and reliable solutions to ease your condition. When you visit the office of West Chiropractic Clinic, you’ll find a team that’s ready and willing to help you feel better. Handling all types of back injuries and aches with equal expertise has made the board-certified chiropractor and his staff the top choice for chiropractic services. With nearly four decades of experience, they have mastered the art of rehabilitative therapies for accident and trauma victims and concentrate their efforts on ensuring patients’ holistic wellness by following an all-natural treatment approach. At West Chiropractic Clinic, the aim is to provide you with nothing less than premium and customized solutions for your particular situation. In line with their top-tier customer service, the family chiropractic facility offers free consultations to their clients in Soldotna and the surrounding areas. Studying each case in great detail, the professionals here factor in every client’s individual body type and requirements to diagnose and treat the problems accordingly. Better still, they know how busy life can get, and they will schedule all your massage therapy and spine alignment sessions around your availability and specific needs. With West Chiropractic Clinic at your service, you can count on receiving efficient and timely treatments. Visit them online to learn more about their services for accident victims, lower back pain, and more, or call (907) 262-9171 to schedule an appointment with their chiropractor today.